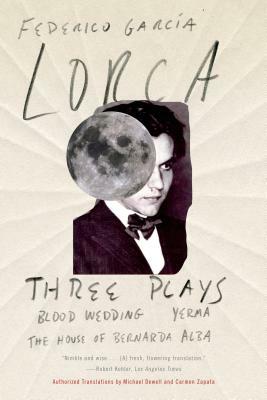 In these three plays, Federico García Lorca's acknowledged masterpieces, he searched for a contemporary mode of tragedy and reminded his audience that dramatic poetry—or poetic drama—depends less on formal convention that on an elemental, radical outlook on human life. His images are beautiful and exact, but until now no translator had ever been able to make his characters speak unaffectedly on the American stage. Michael Dewell of the National Repertory Theatre and Carmen Zapata of the Bilingual Foundation of the Arts have created these versions expressly for the stage. The results, both performable and readable, have been thoroughly revised for this edition, which has an introduction by Christopher Maurer, the general editor of the Complete Poetical Works of García Lorca. Federico García Lorca, one of Spain’s greatest poets and dramatists, was born in a village near Granada in 1898 and was murdered in 1936, at the beginning of the Spanish Civil War.